Have you been hearing about the taffy that you can "Smack" and "Crack"? 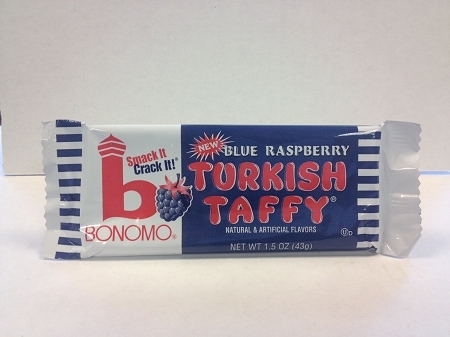 Smack it and Crack it with Bonomo's Turkish Taffy! We have a brand new mouthwatering Blue Raspberry Turkish Taffy flavor that will leave you wanting more and more with each piece you crack! Just one isn't enough? Check out all our products that come in a variety of sizes!